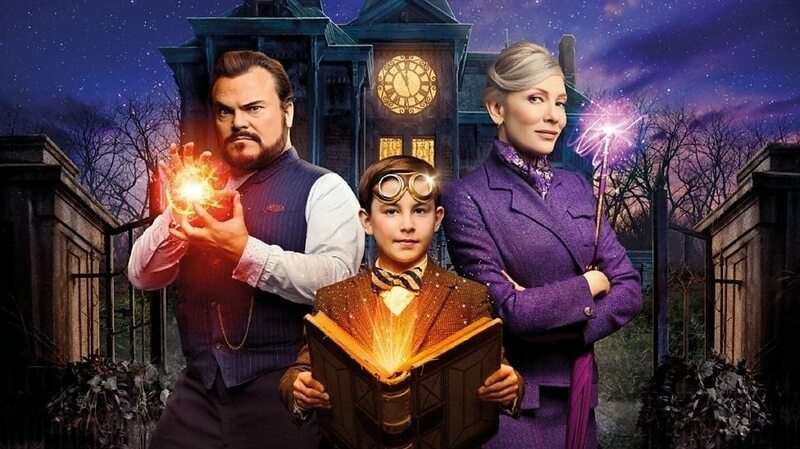 TIck Tock, The House With A Clock In Its Walls Chimes in Tues, Dec 18th! Horror maestro Eli Roth proves he can make a family-friendly film and still remain loyal to his humble beginnings. When considering certain production elements gave the cast the creeps, I had to chuckle. This admission can be found in the bevy of extras (5 to 7-minute clips) included in The House With A Clock in Its Walls (THwaC) home video release. It’s already available on digital and can be bought online or purchased at media outlets come December 18th. Fans of the 1973 novel by John Bellair and newcomers to his works can hear about how his book was adapted. Included are alternate opening and ending sequences which would have entirely changed the tone of the film. Though I have not read the book in years, I do know filmmakers record a collection of ideas, and work with editors to fashion the best narrative possible. Full details of deleted scenes and the creation of can be found listed at the end of this article. Roth imbues this work with a lingering sense of dread. Screenwriter Eric Kripke is best known for creating Supernatural and to see him writing screenplays with that jovial camaraderie as the series makes this tale shine. The film even slimes it up Nickelodeon style! The terror is soft enough to give goosebumps and when I share the same sentiment as Uncle Jonathan (Jack Black) for rustic looking porcelain dolls, I had to bite my lip. His goal is to find where that clock is and he gives this work the comic relief to make it just as fun as Robin Williams Jumanji. He is aided by Blanchett as Florence Zimmerman (Cate Blanchett). Isaac Izard (Kyle MacLachlan) is the villain, and he makes no bones about it; he wants to turn back time. Making a film that resonates with fans of the horror genre is tricky business. Roth and Jack Black express their thoughts on the process included with this work and also in the commentary track of the film. This franchise features young Lewis Barnavelt (Owen Vaccaro) as the hero. He recently lost his parents and is off to live with Uncle Jon. Soon, he discovers he’s a warlock and wants to become one too. Jon and Zimmerman oblige and are the back-ups and help him throughout his many adventures in John Bellairs books about this lad. Although they are unrelated (there’s no wider story arc), to adapt them to film requires a huge commitment. Vaccaro will grow up as the saga progresses, like in Harry Potter. Universal Pictures will have to work fast if that’s their plan! When considering Rose Rita Pottinger (Vanessa Anne Williams) was introduced, the possibility of more movies exists! All I ask is consider The Vengeance of the Witch-finder as the next film. Not every trope needs to be explored. THwaC is essentially a haunted house movie, offering a different take on the ghost narrative. Roth is the ideal talent to bring this work to life and I enjoy his PG13 friendly content more than his horror films. The antagonist is a zombie than a ghost (unlike the book). As a gothic work, it excels at everything I love from the genre. Secrets are hidden in them thar walls and halls. Creepy dolls, photographs of people with eyes following you and a possessed chair make up part of the menagerie. The house in question is Hogwarts Lite. It holds much more than I realize even on a rewatch. Seeing it again with the extra material gave me better insight into his creative process. I did not realize he also wanted a feel of the pulp era imbued into the visual tale. This movie played in theatres in the weeks leading up to All Hallow’s Eve and Christmas time is just as much of a good time to tell a ghost story too! Plus, it makes for the perfect present too. Mass merchant outlets will most likely advertise including themed holiday paper wrapping as a bonus. ← Hidden Kaiju in Godzilla: King of Monsters Trailer?